This host, let say server S, only has physical eth0; then VPN on tap0, and both are bridged on br0. So, only br0 has an IP. My aim here is to filter traffic on the VPN. The VPN has only one client, let say C. ip4s and ip6s and macs are the lists of the clien specifications. For IPv4, then IPv6, I first allow network discovery for the VPN client (si that people in the LAN can detect C), then block the generic discoveries (I don't need to send on the VPN the querries when S probes other machines on the LAN; and I don't need to forware to the VPN the LAN discoveries that are not about C). 1: Why not ? How do I drop it ? 2: what is this, and how do I cleverly drop it ? where 6c:f0:49:02:21:33 is a random host in the LAN. This packet comes in via eth0, and the bridge forwards it to tap0; that's expected. But I don't understand why this host sends this, and I am 99% certain I don't need this for C; how do I drop this the clean way ? with various length values, coming mostly from those two hosts, and, same as question 2: probably useless for C, so, wanna drop. 4: what is 01:00:5e:7f:ff:fa ? no host in my network has such a MAC; so, looks to me as a generic MAC, some kind of broadcast, like 33:33:ff:3c:cd:22. What is 239.255.255.250.1900: UDP ? Google says it's about UPNP discovery, but from memory, this IP is not in APIPA. If it helps, I use SIP, and various TV broadcasting systems (rtsp and MediaTomb amongst other things). In response to question #1, you may need to use the physdev helper module (see below). In response to question #2, this is AoE (ATA over Ethernet) traffic. You should be able to match it in ebtables with -p 0x88a2. Other options are to disable ATA over Ethernet, refrain from loading the module, or limit the interfaces used for AoE by writing the interface names to /sys/module/aoe/parameters/aoe_iflist (for all applicable hosts). Note that the use of the physdev module is important when acting on bridged traffic. Its usage also assumes that CONFIG_BRIDGE_NETFILTER is enabled in the kernel. In response to question #4, the 01:00:5e namespace is reserved by IANA for multicast. 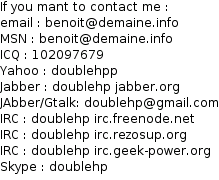 239.255.255.250 is a multicast group address where 239/8 is reserved for private usage (see RFC 2365). In this case, you're looking at the SSDP protocol. In iptables, you can easily match multicast traffic with the pkttype and addrtype helper modules. I don't know which device is providing or asking for AoE; and since the packet is using broadcast ... I know of course the first mac, but this does not tell me why this host is sending this packet. It's an other host in the LAN. is it a recent option ? I did not dig in this issue. The machine does the job, so I don't worry about this for now.